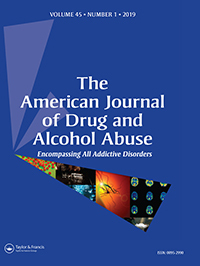 Acute effect of vaporized Cannabis on sleep and electrocortical activity. “The use of Cannabis for medical purposes is rapidly expanding and is usually employed as a self-medication for the treatment of insomnia disorder. However, the effect on sleep seems to depend on multiple factors such as composition of the Cannabis, dosage and route of administration. Vaporization is the recommended route for the administration of Cannabis for medical purposes; however, there is no published research about the effects of vaporized Cannabis on sleep, neither in laboratory animals, nor in humans. Because previous reports suggested that low doses of THC have sedating effects, the aim of the present study was to characterize in rats, the acute effects on sleep induced by the administration of low doses of THC by means of vaporization of a specific type of Cannabis (THC 11.5% and negligible amounts of other cannabinoids). For this purpose, polysomnographic recordings in chronically prepared rats were performed during 6 h in the light and dark phases. Animals were treated with 0 (control), 40, 80 and 200 mg of Cannabis immediately before the beginning of recordings; the THC plasma concentrations with these doses were low (up to 6.7 ng/mL with 200 mg). A quantitative EEG analyses by means of the spectral power and coherence estimations was also performed for the highest Cannabis dose. Compared to control, 200 mg of Cannabis increased NREM sleep time during the light phase, but only during the first hour of recording. Interestingly, no changes on sleep were observed during the dark (active) phase or with lower doses of Cannabis. Cannabis 200 mg also produced EEG power reductions in different cortices, mainly for high frequency bands during W and REM sleep, but only during the light phase. On the contrary, a reduction in the sleep spindles intra-hemispheric coherence was observed during NREM sleep, but only during the dark phase. In conclusion, administration of low doses of THC by vaporization of a specific type of Cannabis produced a small increment of NREM sleep, but only during the light (resting) phase. This was accompanied by subtle modifications of high frequency bands power (during the light phase) and spindle coherence (during the dark phase), which are associated with cognitive processing. Plant-Based Modulators of Endocannabinoid Signaling.